How many times have you made a New Year’s Resolution to lose weight and get fit. I know I have, every year as far back as I can recall. I am sure many of you reading this are exactly the same. How long into the year has your resolution lasted, a month or perhaps even a couple of months. Isn’t it funny how all the Gyms fill up by the beginning of January but a few months down the line, many are no longer going to gym on a regular basis. I thought the New Years Resolution important to mention because it’s not about the beginning of a NEW year – it is about a NEW you a leaner and healthier body. You have to decide for yourself, enough is enough….I want to lose weight not only to look better but to be healthier and stronger. Yes when you lose weight your body becomes healthier and stronger. So your WHY has got to be big enough and important enough for you, in order to see it through to the end and be successful. Did you know that Summer Bodies are made in Winter Time so now is the best time to get started. Start off with realistic goals, take it one week at a time, don’t be concerned by how much you have to lose, just little steps at a time and this will lead to your ultimate successful end goal. 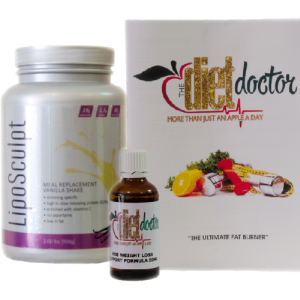 With our help at HCG Diet System SA and our weight loss program together we can help you achieve the long term weight loss. You will stay motivated and determined on this program because it really works and the results are quite amazing. Imagine losing 10 kilograms in a month – have you picked up a 10 kilogram bag of dog food, it is very heavy….imagine yourself lugging around an extra 10 kilograms.You are putting a lot of strain on your body. So what are you waiting for, get started today and by the time summer has arrived you will have that summer body, everybody desires. You will also have the additional bonus of being not only lean and slender but healthier as well.